In just a few short weeks, we’ll celebrate the GREEN holiday. 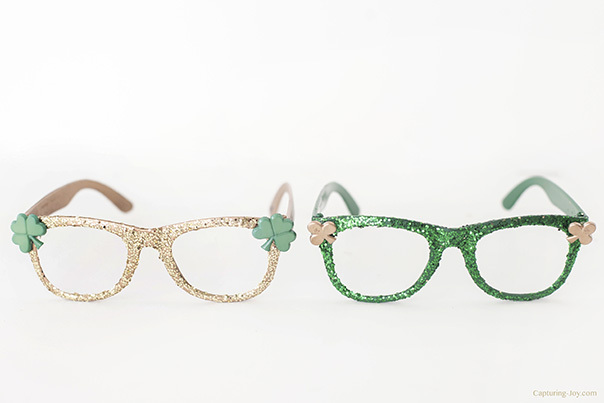 I know you don’t want to get caught getting pinched, so I’m here to share these DIY St. Patrick’s Day Glitter Glasses with you. Add some snazz and pizazz to your outfit! 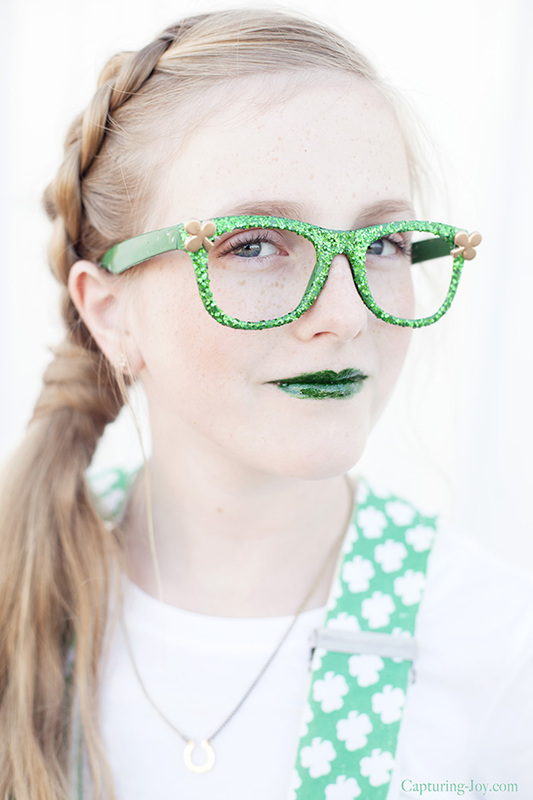 You might notice that my sweet daughter is sporting the CGH dutch accent pony, along with her festive green lips. Hello again! It’s Kristen from Capturing Joy, here to share this family fun DIY project the kids can help make. My girls had a lot of fun helping! I found a set of inexpensive black sunglasses on Amazon, popped the lenses out, and spray painted them green as my base. After the green spray dries, it’s time to grab the glitter, which you can find on Amazon or your local craft store. I also picked up some shamrock buttons. 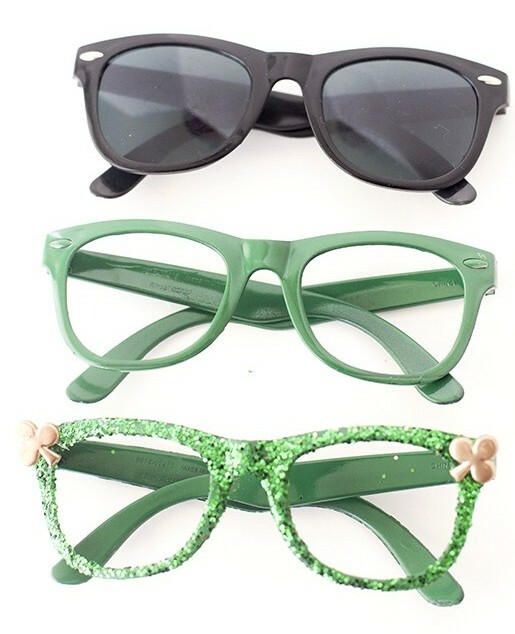 Apply a layer of mod podge glue to the surface of the glasses. Tap off the excess glitter. Once dried, apply a top coat of mod podge. Let it dry for the second time. Glue buttons on corners with hot glue or another adhesive medium. Try them on, and have fun! We had some mother/daughter fun, even wore the glasses grocery shopping, and brought some smiles to other patrons faces. If you’d like to see a step by step video on my site, see the Gold Glitter Glasses post. 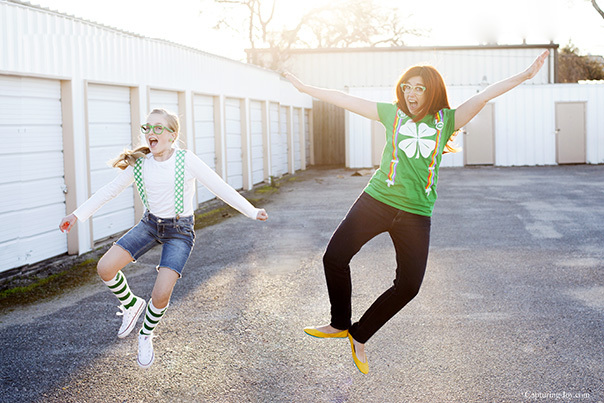 You can also see more of our mother/daughter St. Patrick’s Day photo shoot with details on our clothes, at Capturing Joy. 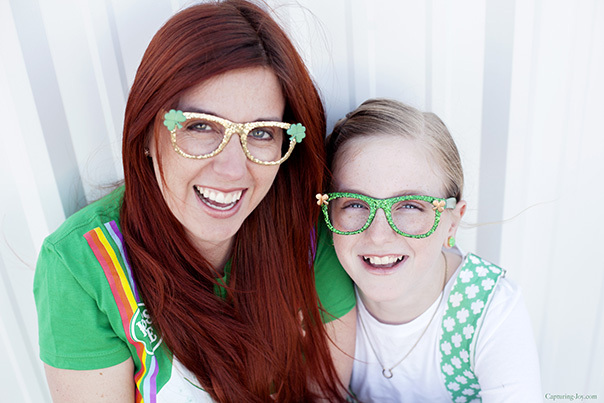 I even have a few other fun St. Patrick’s day ideas, including kids lunch box jokes. 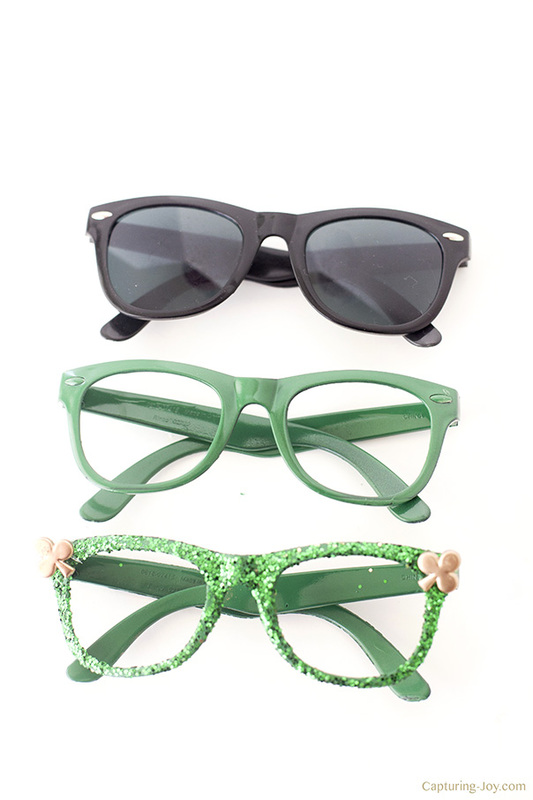 Grab some glasses and some glitter, and make this DIY project ASAP!